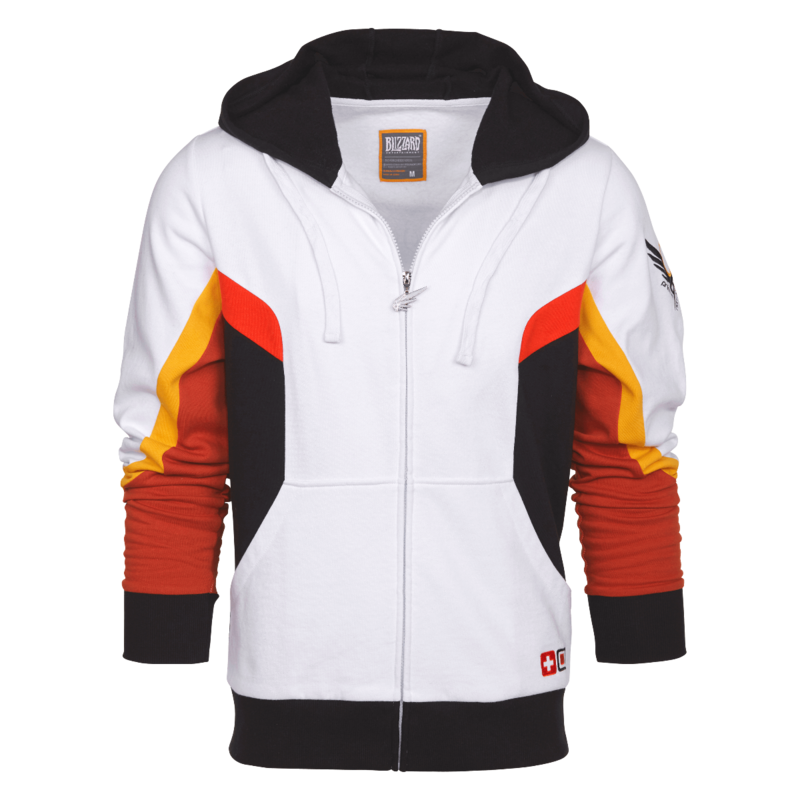 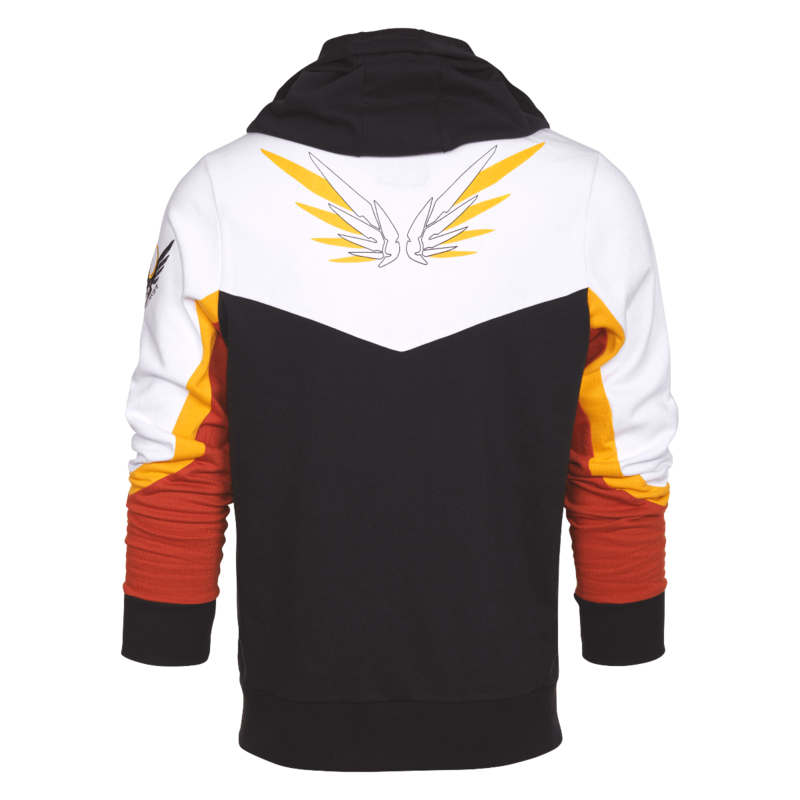 Overwatch Unisex Mercy Hoodie: Fleece classic fit hoodie with colorblock character details, screenprinted wing artwork at back, embroidered icons at pocket and shoulder, enamel wing zipper pull. 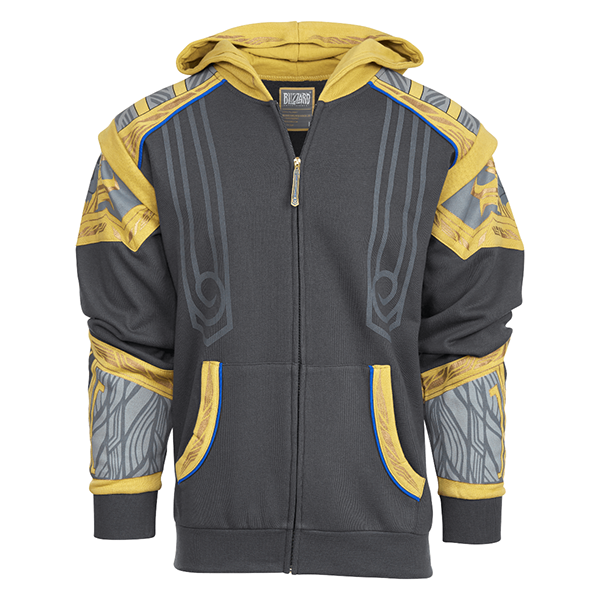 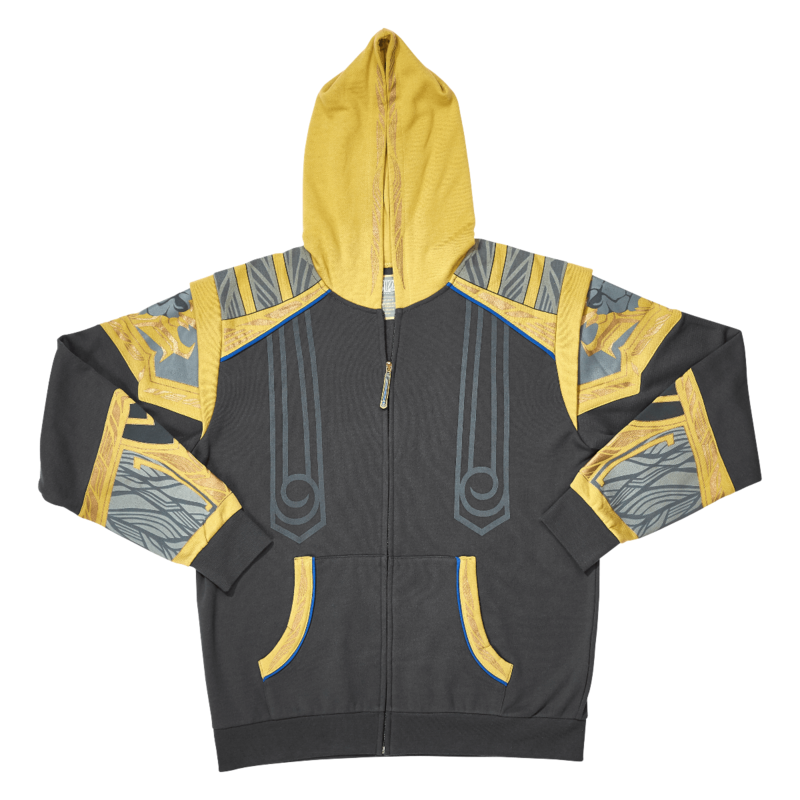 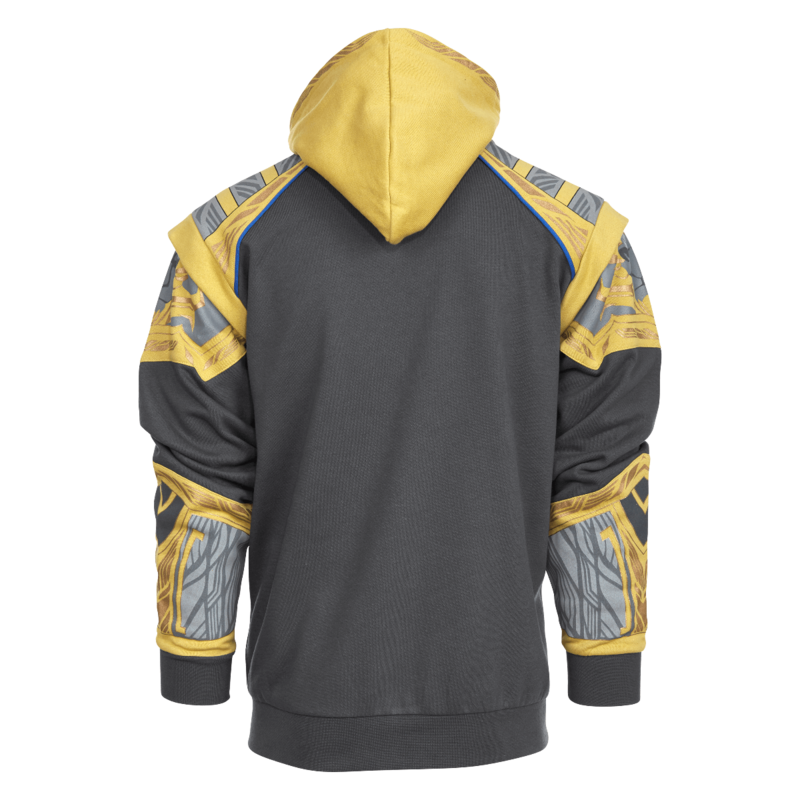 World of Warcraft Anduin Hoodie: Grey Hoodie with colorblock armor elements, screenprinted armor filigree details, custom woven tabard zipper pull. 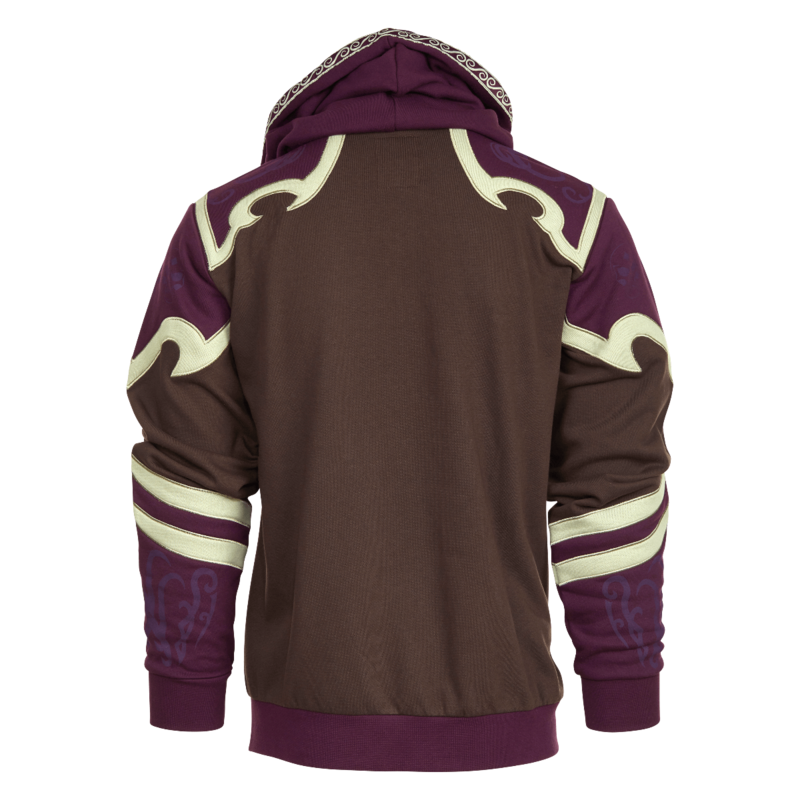 World of Warcraft Sylvanas Hoodie: based on her Battle for Azeroth armor, this hoodie features a colorblock construction with applique and screenprint armor details, front seaming, embroidered hood trim, and custom gem zipper puller. 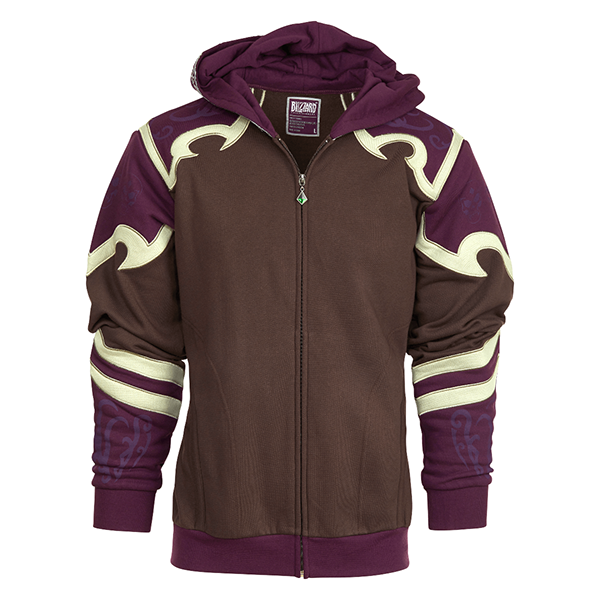 Overwatch D.Va Bunny Bathrobe: plush fleece robe with magenta hood lining and piping trim. 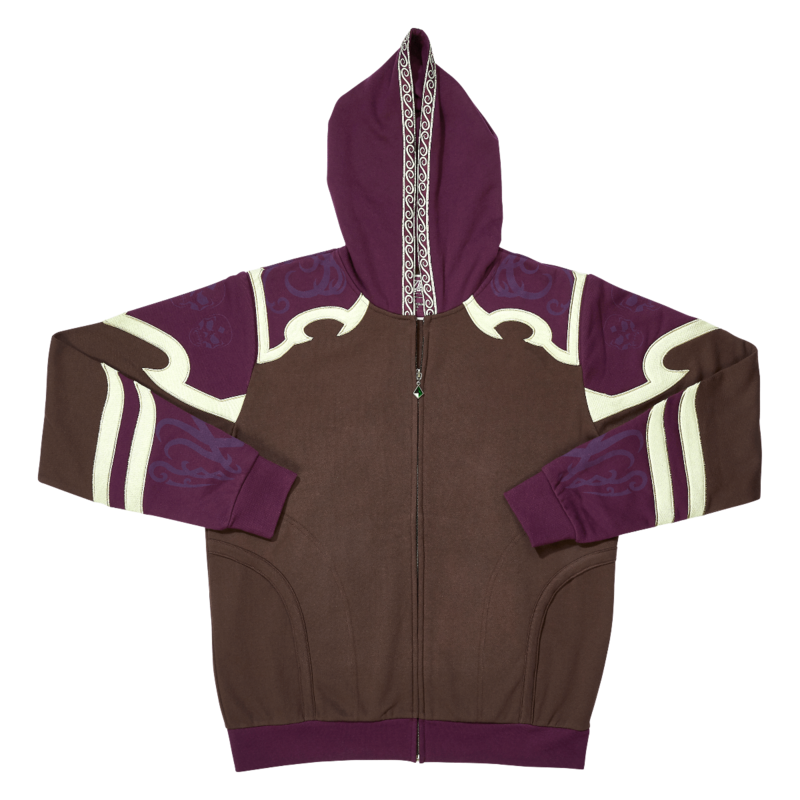 Self fabric bunny ears at the hood and embroidered bunny logo at chest. 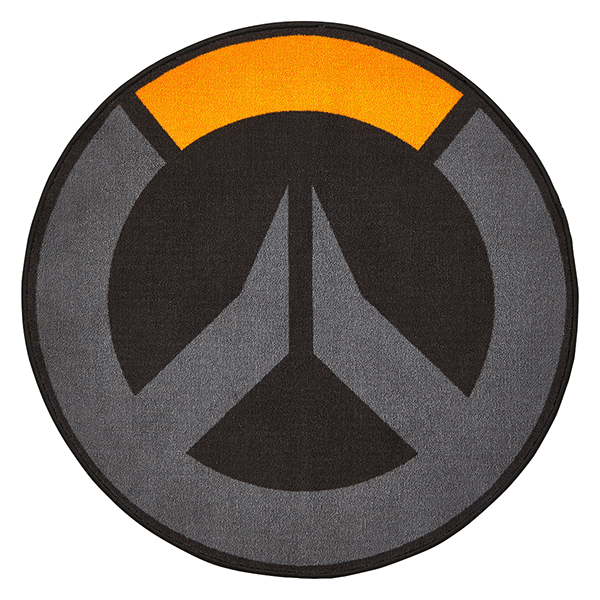 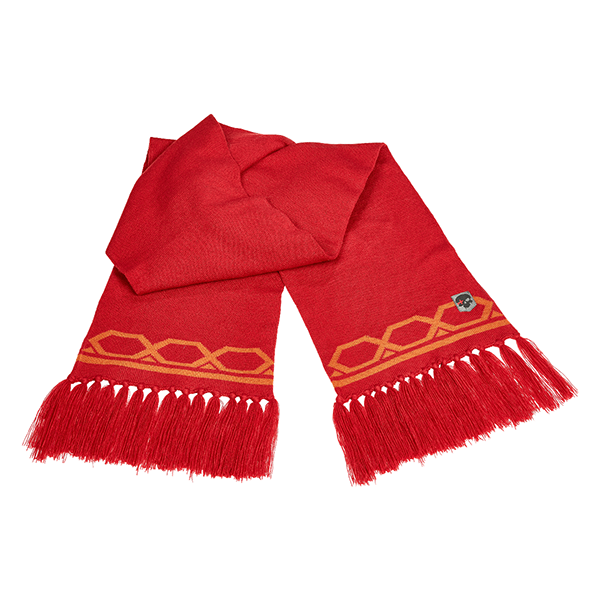 Overwatch McCree Scarf: knitted scarf with geometric border design, woven Deadeye icon patch, and soft fringe ends.